Redefining Japaneseness chronicles how Japanese American migrants to Japan experience both racial inclusion and cultural dislocation while negotiating between the categories of Japanese and “foreigner.” Drawing from extensive observations and interviews with Japanese Americans who are geographically, culturally, and linguistically diverse, Jane H. Yamashiro reveals wide variations in how Japanese Americans perceive both Japaneseness and Americanness. Her findings have major implications for both Asian American studies and scholarship on transnational migration and global diasporic identity. 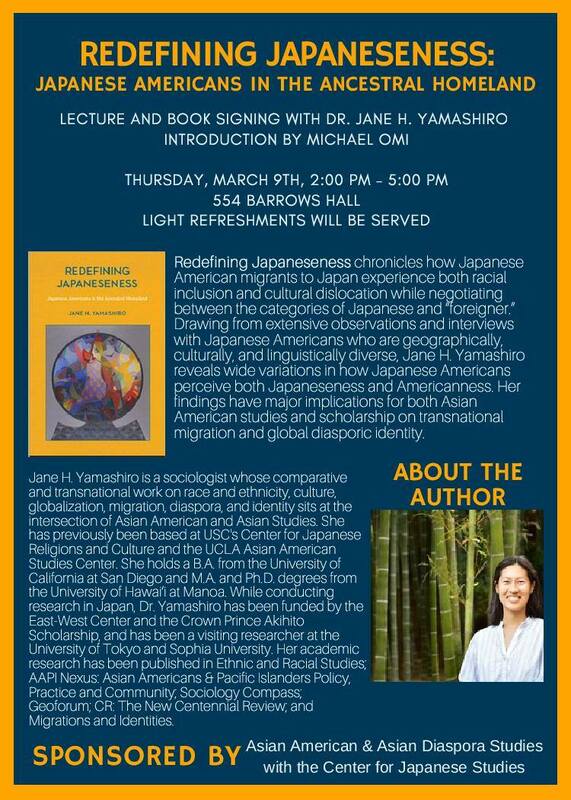 About the Author: Jane H. Yamashiro is a sociologist whose comparative and transnational work on race and ethnicity, culture, globalization, migration, diaspora, and identity sits at the intersection of Asian American and Asian Studies. She has previously been based at USC’s Center for Japanese Religions and Culture and the UCLA Asian American Studies Center. She holds a B.A. from the University of California at San Diego and M.A. and Ph.D. degrees from the University of Hawai‘i at Manoa. While conducting research in Japan, Dr. Yamashiro has been funded by the East-West Center and the Crown Prince Akihito Scholarship, and has been a visiting researcher at the University of Tokyo and Sophia University. Her academic research has been published in Ethnic and Racial Studies; AAPI Nexus: Asian Americans & Pacific Islanders Policy, Practice and Community; Sociology Compass; Geoforum; CR: The New Centennial Review; and Migrations and Identities.